You won't believe how much your student will learn in just five days at NorCal Jazz. NorCal Jazz director, Brian Switzer, is currently leads the Carlmont Jazz Ensembles as the Asst. Band Director at Carlmont High School in Belmont. . Mr Switzer was the director of the Borel Middle School Jazz Band from 2001 until 2012. The Borel Jazz Band regularly performed 14 concerts a year and was selected to participate in the Next Generation Monterey Jazz Festival (2011, 2010 and 2009), the National PTA Convention (2009), was the featured musical group at the National Elementary School Principal’s Convention at Moscone Center (2004), and earned top marks at the CMEA, Folsom, Campana, Santa Cruz and Fullerton jazz festivals. 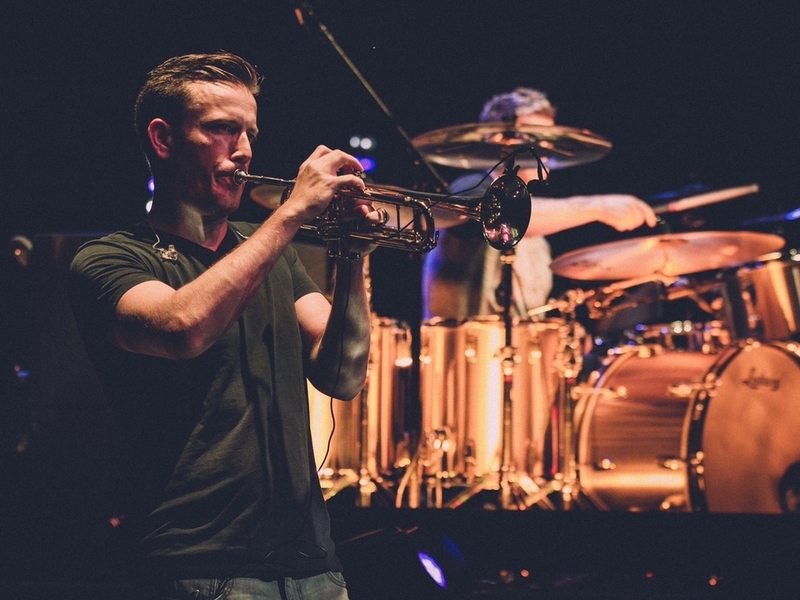 Mr. Switzer toured the world from 2012-2014, playing solo trumpet for the Grammy award winning band, Train. He performed the hit single “50 Ways to Say Goodbye” with them live on The David Letterman Show, The Today Show, VH1, The Talk and a live concert on PBS. Mr. Switzer has maintained an active private studio for twenty years. Since 2002, fourteen seniors have graduated from the studio, all fourteen of whom went on to play in college - most with significant scholarships - at UCLA (4), The New School in New York City (2), Berkelee Music School (2), NYU, Indiana University, Long Beach State, UC Berkeley, Stanford and UC Davis. Mr. Switzer graduated with a degree in music education and jazz performance from UCLA. Mr. Switzer believes strongly in the power of music education and loves sharing his musical knowledge with younger players. He hopes his students will find great joy in learning and continue to make music for their entire lives. This is the ultimate goal of every class Mr. Switzer teaches. Mr. Switzer created and published the JazzDeck®, a musical “textbook in a box” that helps players of all levels build confidence and sharpen their chops as jazz soloists. JazzDeck has been released to widespread acclaim. JazzDeck was one of the best sellers for Jamey Aebersold and JWPepper in 2015. The JazzDeck enables students, teachers, and professionals to explore melodic ideas crucial to any chord they might encounter. By breaking down the complex—and often overwhelming—lexicon of jazz into tangible tidbits of musical information, the JazzDeck arms players with the know-how they need to sound great.